I honestly forgot that today was IWSG posting day. Oops. Double oops since I know Alex just had a reminder on his blog. :/ For anyone who does not know what IWSG is, or who Alex is, then click here. This past month was okay writing-wise. I did get stuck the last week, but it's because I wrote a ton of scenes and need to get them organized.. Once I do that, I can pick right back up. This past month has been full of crits for me. I've been critiquing so very much lately, but I love doing it-love helping other writers. And thinking of the people who's MSs I'm reading, makes me think of all the success I've seen lately. When everyone around you-in your field, and a field that's complicated to survive in-is having successes...It's easy to get jealous. A lot of people would and it's a perfectly normal reaction. You're happy for the person, but jealous and wondering when is it going to be your turn. I'm not one of those people. I have nothing against anyone who is, that's just not me. I'm not one to get jealous very easily. I don't know...I am overjoyed by the amount of success around me. It makes me emotional, happy, so very excited to the point I could explode. Sometimes I sit back and wonder if I'm possibly a little overboard with the excitement. Anywho... 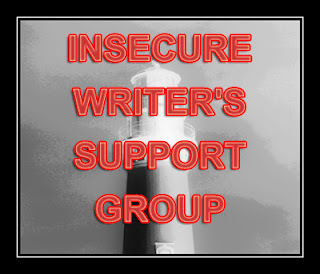 I want to recognize some of the success that has evolved from the insecurities that we writers have, because regardless who you are, you're going to have them at some point. Ruth Cardello-She's a self-pubbed author who recently hit the New York Times eBook Bestseller list. She's now been on it two weeks in a row and it's such an exciting thing. As if that weren't success enough to be jumping up and down excited for her...She got an agent offer of rep now. And she's done this on her own. She's figured out what works and she's worked so hard at it. Jamie McGuire-Is the Oklahoma author who wrote Beautiful Disaster which has found its way onto a few bestseller lists AND Warner Bros just picked up the film rights. Now, while I feel happy for everyone, there's a bit of pride I feel from this announcement. I mean, she's an Oklahoma author and that gives me a little more hope. There's just a little extra umph when your hear good news about someone from your state. Jessica Khoury-Her book isn't even out yet and it's already been optioned. Someone wants to make her unpublished book a movie because it's obviously that effing good. (Now, a producer has picked up the rights to make it a movie, does not mean that it will happen, but eeeep isn't it exciting regardless?) I've not had the chance to read any kind of ARC or anything, but I know that I can't freaking wait for the book to be released. What's that? Oh, whoops, I forgot the title in all my excitement...The book is Origins. Those are only a fraction of the people who had good news (of course, good news comes in all shapes and sizes so not guaranteeing that all the news this past month had the WOW factor that these three do), but I've *hopefully* gotten my point across. We all have insecurities, even these ladies in this post, but we push through them because we see what kind of success can be achieved by overcoming our insecurities. And if you don't see it...Look at every bit of good news around you and know that if you want it and are willing to work for it, your day is coming. So, if you've been feeling insecure lately, remember that. Think of these people and their success, think of someone(s) successful that you know, and know that it can and will happen for you. And always measure success based on the little things. Don't think you need to be a NYT Bestseller to be successful, Ruth has been making sales for a very long time and believe me it was great to hear about those too. Measure your success by the partial or full request, by a contest won, by sales on your self-pubbed book(s) (ANY sales), mentions and people spreading the word about your work, or even that one lone review you have (or even a few lone-ish reviews :p ) because I promise you, this is all success. Okay, okay...I realize I've went on and on in this post so I'll stop here. I hope everyone grasped something from this drawn-out thing and I hope too that you all have a wonderful day-insecurities/securities aside. You have an amazing attitude, Kela! I'm always happy for the success of my fellow bloggers and writers. And I hope that anyone who looks at me KNOWS they can do it! Terrific post! Thanks for sharing your positive energy! Awesome attitude! And very good post. I don't find myself very jealous of other's success. I am happy for them and know that I will have my turn, I just need to be patient. This is a lovely post. I love the positive attitude. It's something we all need more of... particularly me. What a lovely positive spin. You are right it is LOVELY to read of people's success! Thanks for the dose of positivity! Your attitude is wonderful and refreshing! I think jealousy is normal but you can't let it eat you alive. I have a lot of doubts as they relate to my own writing but I can't wish misfortune or a lack of success on anyone. Besides, there are a whole other set of worries/insecurities that come with success too. Very well said and motivating. Thanks so much. I've been dealing with this, too. Every time I turn on my laptop lately I'm hearing about someone's pub deal. I'm not jealous, but it does get me down sometimes, like you say, wondering when it's going to be my turn. But then I remind myself they've been at it longer. If I want the success, I have to do the work. I don't get green with envy, but I can get a shade of yellow heading to green. I'm always excited for the person gaining success, just wishing it spread itself around better sometimes. I'd give you my IWSG #, but I know it changes. But I'm on http://depressioncookies.blogspot.com if you are hopping around.